Raspberry Ketone is a powerful fat burning hormone. This has been basically extracted from the fruit and further it has been presented in an excellent supplement form. Moreover, it is a strong fat burner which also aims at boosting metabolism in your body. Raspberry ketone pure is the compound that gives out the sweet aroma, health benefits and taste of original raspberries. This supplement basically contains no added ingredients and can be used before meals or exercise along with a sensible diet and fitness program to support your health goals. Raspberry ketone pure contains high amount of fiber as it comprises of the original raspberry benefits that is an excellent fiber supplier. 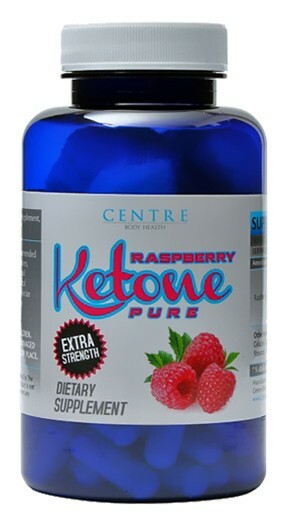 Our raspberry ketone pure can actually suppress your body's natural cravings for sweets and hunger altogether. So aside from helping your burn fat naturally, it can help you forget about consuming more fatty and sweet foods than your body needs. Our product contains all the major benefits of the raspberry that aims at fat burning extensively. Raspberry Ketone pure can target fat and encourage the entire system at using that fat a great means to obtain energy. Raspberry Ketone pure tend not to cause uncomfortable side effects like headaches, nervousness, and bad health effects so it is one of the most desirable ingredients that is included in slimming capsules. Raspberry ketone pure is a safe substance with zero known side effects or potential health risks. Directions for use: Take 2 capsules daily, prior to your first meal of day. Not Suitable for: individuals with serious illness, if you are pregnant or breast feeding or under 18 years of age.